Houaphanh province (Laotian: ???? ?????? ) is a province of eastern Laos. As of 2004 it had a population of 322,220 people. Its capital lies at Sam Neua. Houaphanh Province covers an area of 16,500 square kilometres (6,400 sq mi). The province is bordered by Vietnam to the north, east and southeast, Xiangkhouang Province to the south and southwest, and Luang Prabang Province to the west. The terrain is rugged, with dense mountainous forest forming much of the province, particularly on the western side. The main road running through the province is Route 6. The principal rivers are the Song Ma, which flows from and into Vietnam, passing the village of Ban Muang-Et, and the Nam Sam, which the town of Sam Neua lies on. The province was home of the B?n Man Kingdom (Muang Phuan Kingdom) since the 14th century. 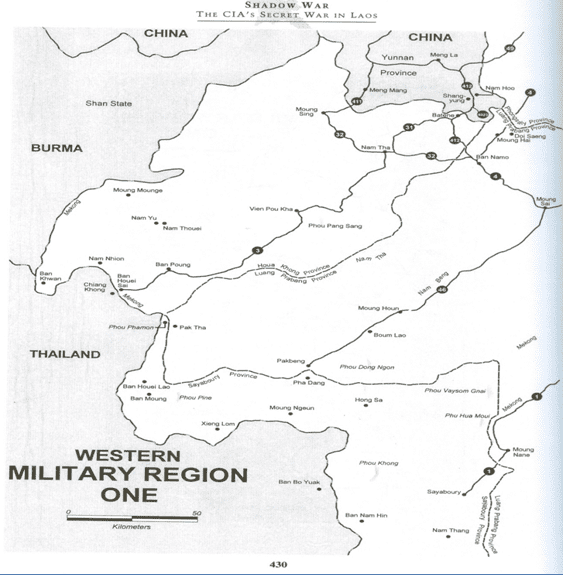 Following a Vietnamese invasion in 1478 led by Vietnamese King Lê Thánh Tông, it became Tr?n Ninh Territory of the ? ?i Vi?t Kingdom with the capital at Sam Chau (present-day Sam Neua). The area was known as Hua Phan Tang Ha Tang Hok, "the fifth and the sixth province", and listed by Auguste Pavie as "Hua Panh, Tang-Ha, Tang-Hoc." The province is the home to the Viengxay caves, an extensive network of caves used by the Pathet Lao. Numerous caves in the province served as hideouts for important figures in the Laos in the 1950s and 1960s. Tham Than Souphanouvong Cave was the hideout of the revolutionary leader and later the President, Souphanouvong, who built a base there in 1964. Revolutionary leader and later the President Kaysone Phomvihane hid out in Tham Than Kaysone Cave from 1964, and later President Khamtay Siphandone hid out at Tham Than Khamtay Cave from 1964 and he established a base there, with meeting rooms, reception rooms and a research room. Houaphanh Province, one of the provinces of Laos, covers an area of 16,500 square kilometres (6,400 sq mi). The province is bordered by Vietnam to the north, east and southeast, Xiangkhouang Province to the south and southwest, and Luang Prabang Province to the west. The terrain is rugged, with dense mountainous forest forming much of the province, particularly on the western side. Notable settlements in the province include Sam Neua, Muong U, Houamuang, Chomsan, Muang Pan, Muang Hom, Muang Peu, Muang Xon, Ban Muang-Et, Ban Nampang, Muong Vene, Xamtai, Muang Na, and Poungthak. The main road running through the province is Route 6. 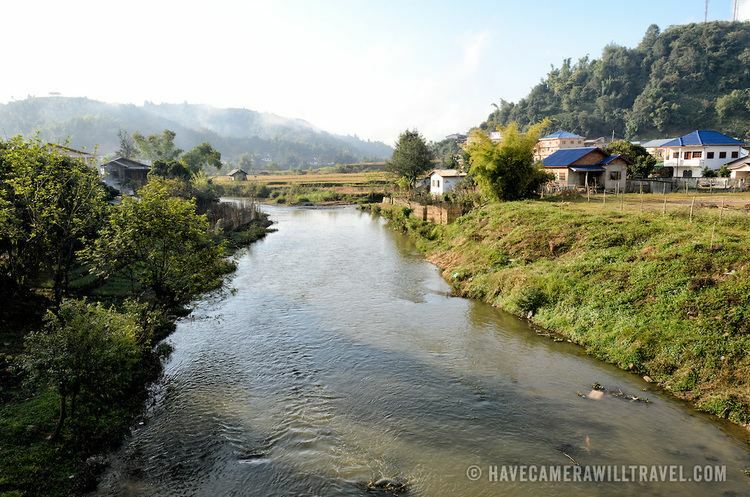 The principal rivers are the Song Ma, which flows from and into Vietnam, passing the village of Ban Muang-Et, and the Nam Sam, which the town of Sam Neua lies on. 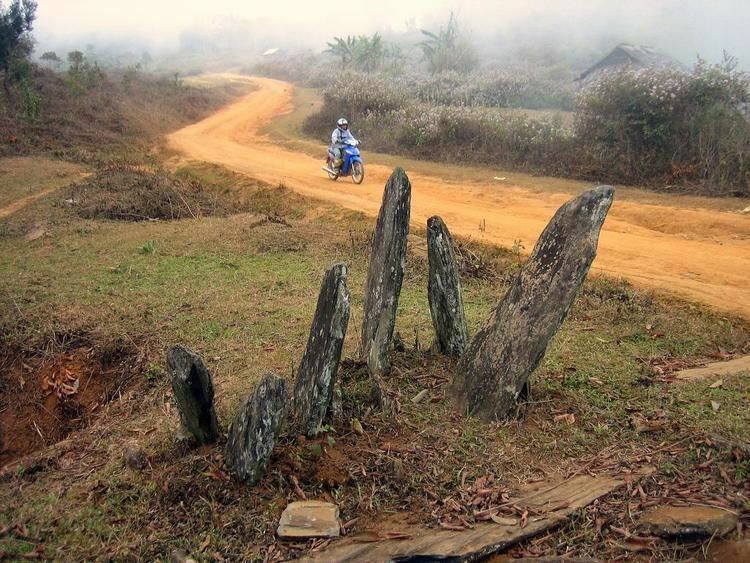 Houaphanh Province is one of the poorest areas of Laos. In 1998, three quarters of the population were classified as poor, and in 2002 GDP per capita was $50–204, compared to the national average of $350. Numerous socio-economic problems plague the province, with an infant mortality rate and access to safe water and medical facilities far worse than the national average. Bamboo is important in rural parts of the province and used as a principal building material. Women play a key role in the collecting of bamboo shoots. In Viengxay district there are two bamboo processing factories which produce items such as floormats, fences, chopsticks and toothpicks for the Vietnamese market. Overall though, the bamboo industry is undeveloped, and many find it difficult to find profitable markets for their goods.